Dannelle Geerdes, Business Office Manager for Lyon Specialty Care in Rock Rapids, has received the “Work as a Team Award” at the Care Initiatives’ annual awards brunch Friday, Dec. 15 in West Des Moines. Geerdes joined Lyon Specialty Care in 2009 initially working as a CNA while also juggling her teenage boys’ extra-curricular activities maintaining a near-perfect attendance record. 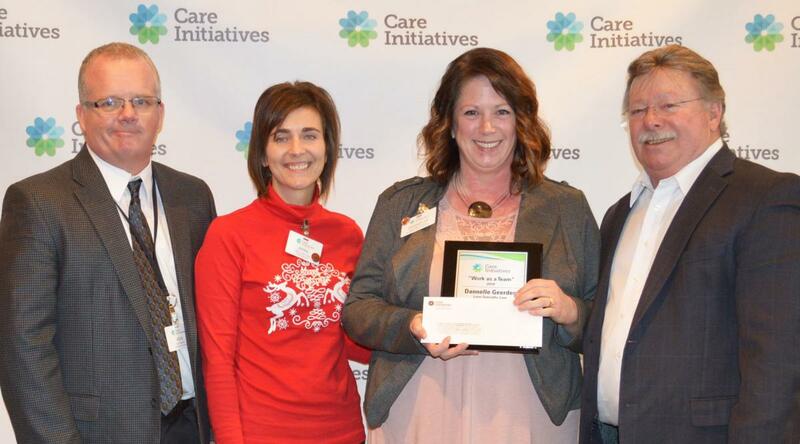 MDS Coordinator Kristina Harris with Creston Specialty Care was awarded the Care Initiatives “Always Learn Award” at Care Initiatives annual awards brunch Friday, Dec. 7 in West Des Moines.